Posted on March 23, 2019 at 11:08 am. Posted on March 23, 2019 at 10:17 am. Posted on March 23, 2019 at 10:10 am. Posted on February 16, 2019 at 11:22 am. Posted on January 31, 2019 at 10:52 am. Should forecast plummet and you are unsure about garbage pickup, please call Peterson Sanitation at 608-524-6603. Posted on January 12, 2019 at 5:27 pm. The Town Caucus will be held at 1:30 on Saturday, January 19 at the Greenfield Town Hall. 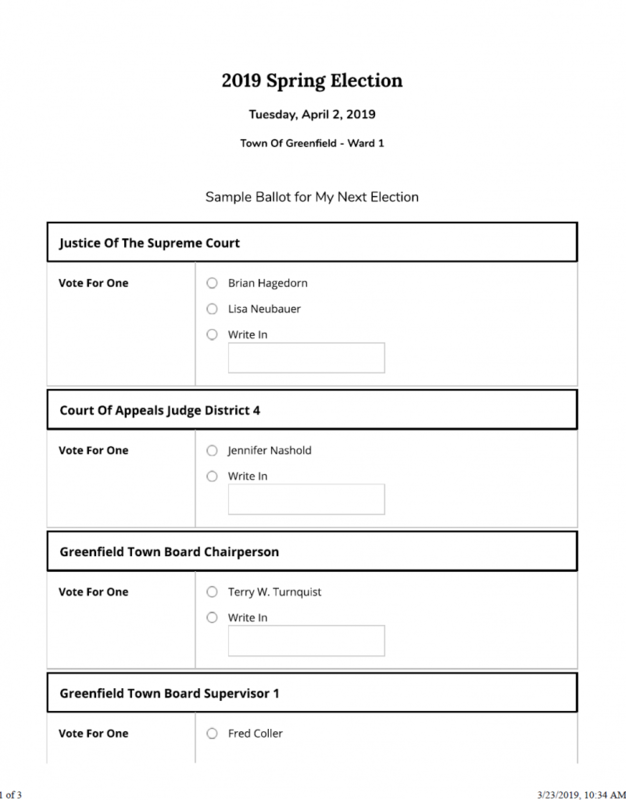 All registered voters of the Town of Greenfield are eligible to participate. 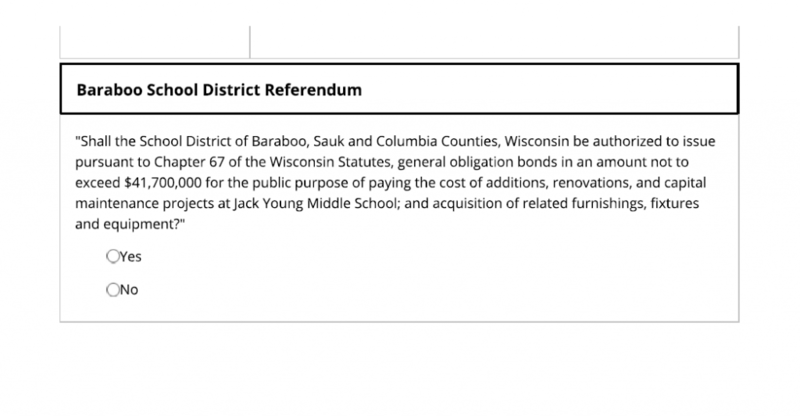 The five Town Offices will be on the April 2nd Ballot. The purpose of the Caucus is to nominate candidates for the ballot. 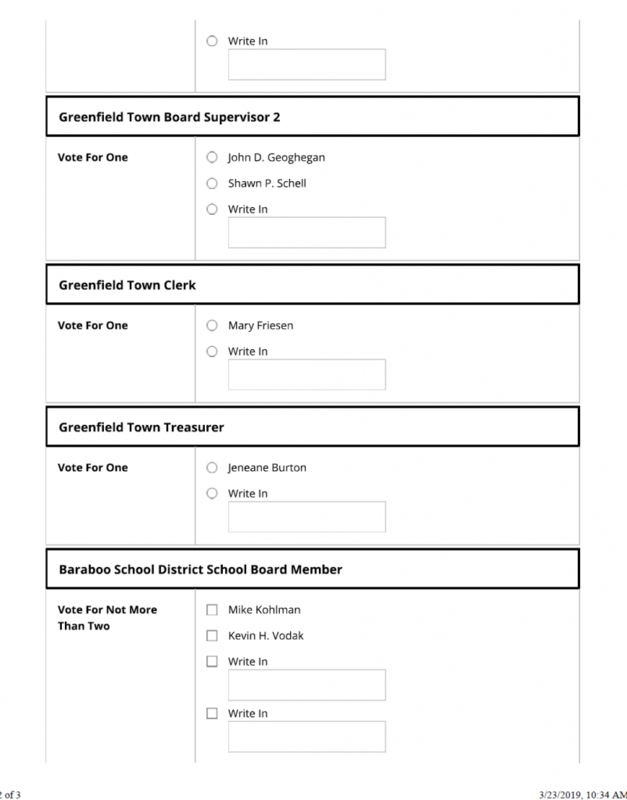 If more than two candidates are nominated for any one office, a runoff ballot will be cast by voters during the Caucus. Posted on January 12, 2019 at 5:18 pm. Posted on December 17, 2018 at 11:17 am. Posted on September 1, 2018 at 8:44 pm.